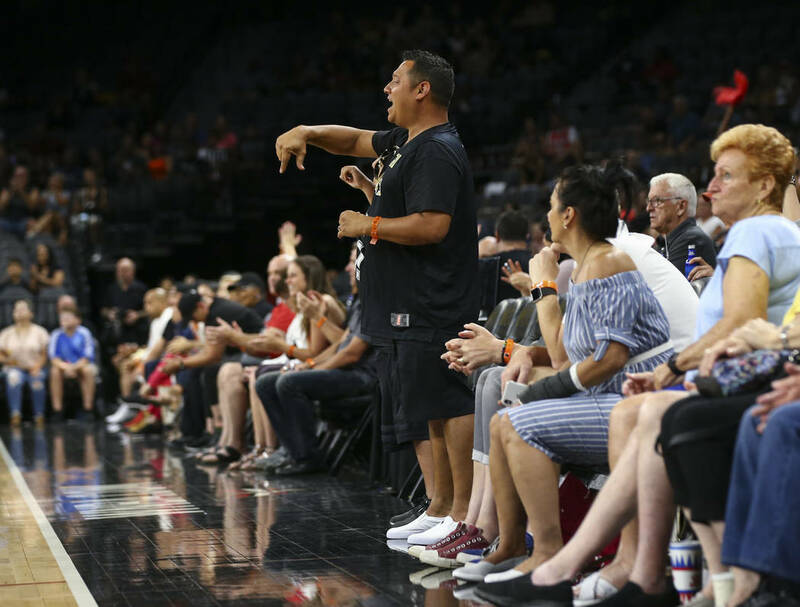 The Sada family has spent the summer commuting from San Antonio to Las Vegas to watch its beloved San Antonio Stars, who relocated in the fall and became the Aces. They’ve attended 10 of 13 home games. San Antonio native Joseph Sada has a surprise for his 11-year-old son, Braeden. It’s a jersey. It may or may not include “Aces Dancing Kid” on the back. The elder Sada wouldn’t say. But the “Spurs Dancing Kid” roots for the Aces now, and it just might be time for another moniker. The Sadas have spent the summer commuting from San Antonio to Las Vegas to watch their beloved San Antonio Stars, who relocated in the fall and became the Aces this spring. They’ve attended 10 of 13 home games and are a fixture in courtside seats opposite the visiting team’s bench, where they rambunctiously cheer for the home team. Every once in a while, the younger Sada breaks out the dances moves that made him famous in his hometown. A little bit of boogie makes the crowd erupt here, too. Joseph Sada owns tattoo and piercing shops in San Antonio, but he was a break dancer in his youth who loved to perform and invigorate a crowd. He started practicing with his son and passed along the impregnable self-confidence he had as a performer. Braeden, in turn, is a natural. The family has had San Antonio Spurs season tickets for the past four years, and he turned a fourth-quarter timeout into a personal performance at a game against the New Orleans Pelicans during the 2015-16 season. Braeden emerged as a star of sorts and engaged in promotional dance competitions with team staffers during games. His dad created an Instagram account on his behalf, and his local celebrity blossomed. Sada has since met several NBA players and even warmed up with the Golden State Warriors before a game in San Antonio. He also used his platform to raise money for local charities affiliated with the franchise and helped with relief efforts for Hurricane Harvey. The franchise embraced his enthusiasm and offered the family courtside tickets to see the Stars, who lacked the fan support of the Spurs. The family subsequently acquired season tickets for the Stars, and Braeden, while adamant about his love for the NBA, said he prefers WNBA games. He was heartbroken when the team moved to Las Vegas. But his dad had the cure for his ailing emotions — an impromptu trip to Las Vegas for the second home game in Aces history. The trips turned into a regular thing, and the family’s fandom continued to flourish. 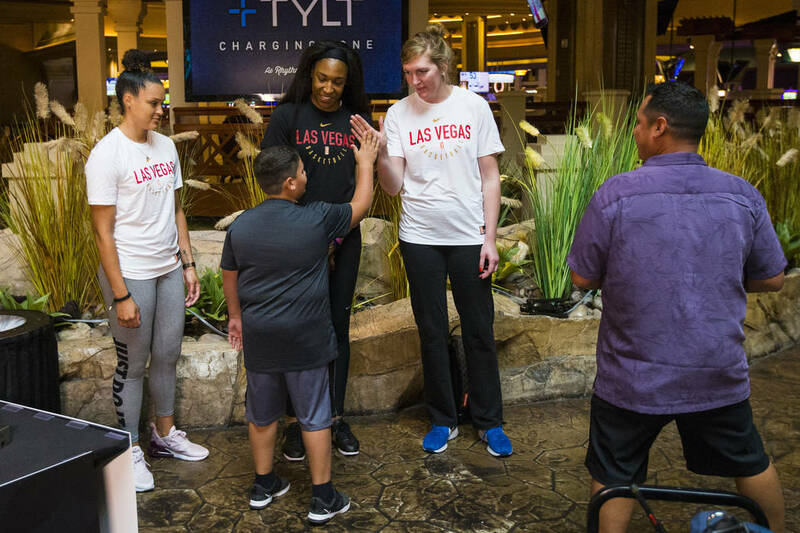 The “Spurs Dancing Kid” jersey turned into an Aces team T-shirt as San Antonio fans turned into Las Vegas fans. 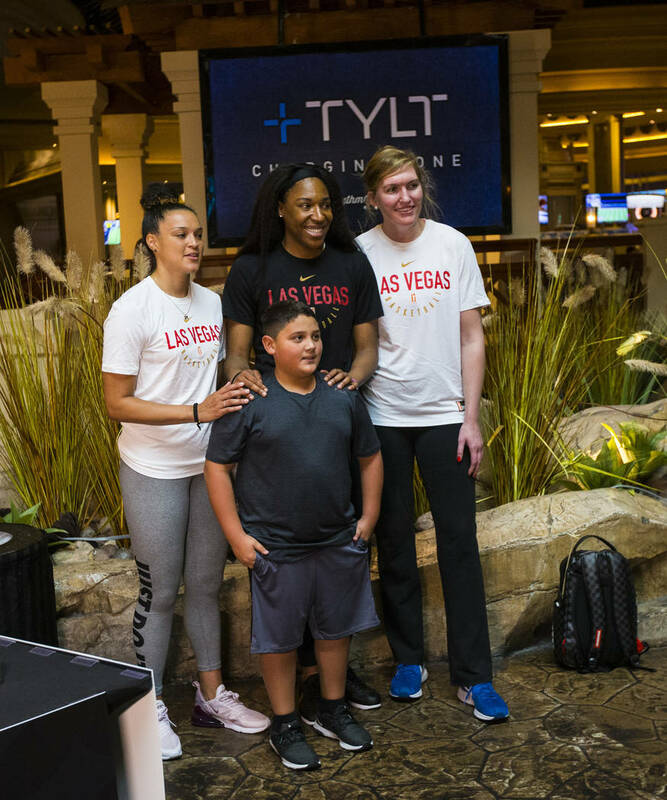 The Sadas won’t be at the Aces’ game Thursday against the Minnesota Lynx at Mandalay Bay Events Center, but they’ll be at the following two home games and Braeden already has his bags packed. He’s ready for some hoops. Oh, and ready to dance, too. About the Aces: Las Vegas (12-17), 2½ games behind the Dallas Wings for the final playoff spot, play four of their final five games at home. The Aces defeated the Lynx in their last meeting last month. About the Lynx: Defending WNBA champion Minnesota (16-13) has lost three of its past four games. Former league MVPs Maya Moore and Sylvia Fowles average 17.8 and 17.0 points to anchor the offense.